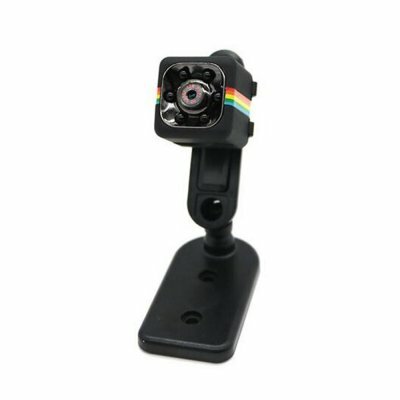 SQ11 Full HD 1080P Mini Car DVR Hidden Camera Recorder with 120 degree Wide Angle. Support 32GB TF card max. (Memory card not included). Support system: Windows ME / 2000 / XP / 2003 / Vista, Mac OS, Linux. Built-in 200mAh lithium battery sustainable camera up to 100 minutes. Featuring in Loop recording, Night Vision, Motion Detection, Built-in microphone/speaker Audio System.